Am 1. Dezember 2018 ist unser Kollege Rolf Würtz nach schwerer Krankheit verstorben. Rolf Würtz war eines der ersten Mitglieder der Organic Computing Initiative. Von deren Anfängen im Jahre 2002 an hat Rolf die wissenschaftliche Arbeit der OC Community aktiv mit eigenen Forschungsbeiträgen und auch organisatorisch unterstützt. Im OC Schwerpunktprogramm der DFG von 2005 bis 2011 hat er eine zentrale Rolle gespielt. Auch als Mitglied des Leitungsgremiums der GI-Fachgruppe Organic Computing sowie als Herausgeber und Mitautor diverser Fachpublikationen zum Thema OC und insbesondere zu seinem eigenen Forschungsbereich, der Gesichtserkennung, hat er die Geschicke unserer Forschungsinitiative über viele Jahre mitbestimmt. Rolf war ein anerkannter Wissenschaftler, ein engagierter Hochschullehrer und, nicht zuletzt, ein beliebter Kollege. Wir trauern um einen guten Freund, den wir sehr vermissen werden. Seiner Familie sprechen wir unser herzliches Mitgefühl aus. On December 1, 2018 our colleague Rolf Würtz passed away due to a severe illness. Rolf Würtz has been one of the first members of the Organic Computing Initiative. From its beginning in 2002, Rolf has actively supported the scientific work of the OC community with his own research contributions and organisationally. He played a core role in the OC priority research program of the DFG, running from 2005 to 2011. 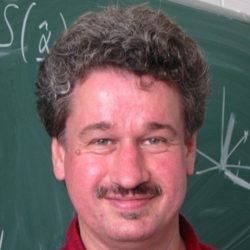 Furthermore, as a member of the steering committee of the GI special interest group on Organic Computing and as editor and co-author of various scientific publications on OC topics and in his special research area, face recognition, he has influenced significantly the development of our research initiative. Rolf has gained high reputation as a scientist, he was a dedicated lecturer, and a popular colleague. We are very sad to lose such a good friend, we will truly miss him. Our deep sympathy goes to his family. 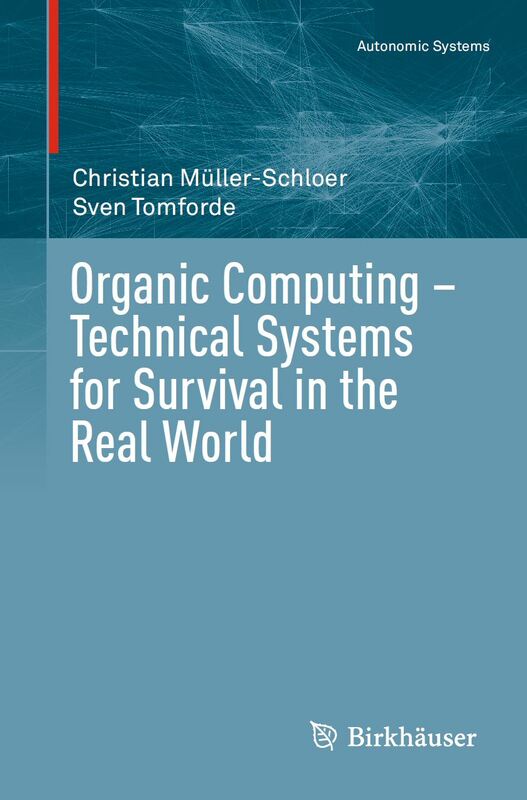 Hot-off-the-Press: New Organic Computing book now released! This new book is a comprehensive introduction into Organic Computing (OC), presenting systematically the current state-of-the-art in OC. It starts with motivating examples of self-organising, self-adaptive and emergent systems, derives their common characteristics and explains the fundamental ideas for a formal characterisation of such systems. Special emphasis is given to a quantitative treatment of concepts like self-organisation, emergence, autonomy, robustness, and adaptivity. The book shows practical examples of architectures for OC systems and their applications in traffic control, grid computing, sensor networks, robotics, and smart camera systems. The extension of single OC systems into collective systems consisting of social agents based on concepts like trust and reputation is explained. OC makes heavy use of learning and optimisation technologies; a compact overview of these technologies and related approaches to self-organising systems is provided. Welcome to the Organic Computing Initiative! Progress in the area of computer architectures – as observed since the 1960ies – will continue at a similar rate in the future. A doubling of relevant performance parameters every 18 – 24 months – according to the generalized Moore law – will characterize the future development as well. Mastering this complexity requires a new paradigm, which is more oriented towards fulfilling human needs than just implementing everything that is technically possible. Computers (and computerized systems) should adapt to humans and to the current situation, not vice versa. Adaptivity and self-organization are the key capabilities of future complex computers and computerized systems. Large numbers of autonomous subsystems will try permanently to achieve an optimization goal as prescribed by the human user. The ability of cooperation with other subsystems (and with humans) plays a central role. Such computer systems will have properties, which make them look lifelike – or “organic”. The Organic Computing Initiative has a versatile and appealing history of workshops, conferences, and announcements! Below, you will find the link to the history of OC, dating back to the foundation of the initiative in 2003.